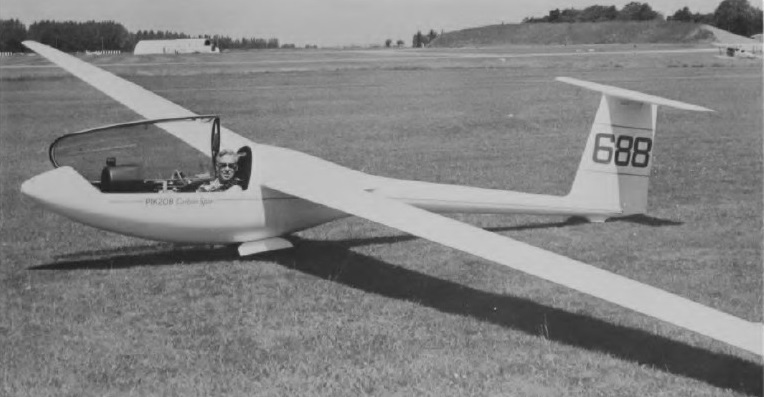 The single-seat high performance Unrestricted Class PIK-20, design work on which, by a team headed by Pekka Tammi, started on 1 May 1971, the first of two prototypes making its first flight on 10 October 1973. The Pik-20 is a 15 m. racing class, all-fiberglass sailplane with water ballast, retractable gear and 90 degrees trailing edge flaps for landing. Finnish certification of the PIK-20 was granted on 20 June 1974, followed by FAA certification exactly a year later. There is a retractable Tost monowheel with a drum brake as well as a tailwheel. 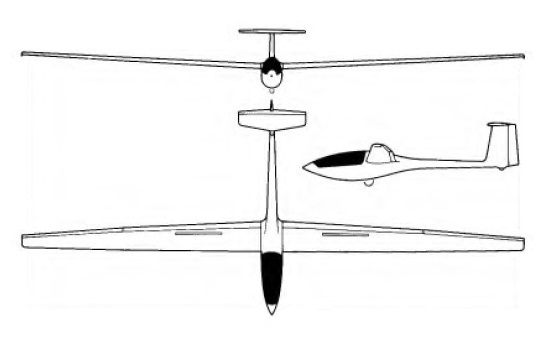 The T-tail is of similar construction to the wings, and the fixed-incidence tailplane has a one-piece elevator. 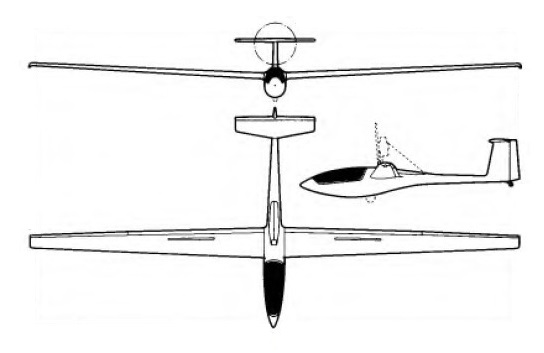 The PIK-20 was soon followed by the PIK-20B, the main production version, which had an increased gross weight, greater water ballast capacity of 309lb, interconnected flaps and ailerons for improved performance, which could be retrofitted to earlier models, and a pneumatically sealed sideways opening cockpit canopy. From aircraft No 20100 carbon-fibre spars became available as an option, but later became standard, reducing the empty weight to 496 lb. Ingo Renner won the 15 m. class at the 1976 World Championships at Rayskala, Finland in a B-model, and others finished 2nd, 3rd and 5th. The PIK-20D, first flown on 19 April 1976, superseded the B, and this has carbon-fibre spars as standard, and is fitted with Schempp-Hirth air brakes and improved flaps, or 'flaperons', which act as both flaps and ailerons for enhanced performance. The flaperons, operate differentially for roll control and deflect from -12 degrees to +16 degrees for cruise or approach control. The cockpit is enlarged and its layout improved, and carbon-fibre is also used to reinforce the fuselage. The wings and tail surfaces are glass-fiber reinforced plastic (GRP) sandwich with PVC core. The fuselage is a GRP monocoque structure reinforced with ribs of carbon fiber. The -20D features carbon fiber spar caps and carbon reinforcement strips at critical locations in the fiberglass monocoque fuselage. On later production models the nose profile was sharpened, the tail moved 5 inches forward and fuselage fairings recontoured to reduce drag. PIK-20 production was undertaken by Eiriavion O/Y, and by January 1979 a total of 149 PIK-20Bs and 150 PIK-20Ds had been delivered. The type soon made its mark in competitions, winning the first three places in the Standard class at the 1976 World Gliding Championships in Finland, and also winning several national championships. 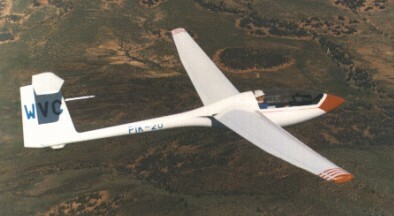 The PIK-20E is a -D sailplane with a retractable Rotax two-cylinder two-cycle engine, developed by Jukka Tervamaki, the chief designer of Finland's Eiriavion O/Y, to meet the OSTIV airworthiness regulations for powered sailplanes. A manual crank handle requires about 15 turns to deploy or retract the engine and propeller. The Rotax 503 500cc two-stroke two-cylinder engine produces 43 hp at 6,200 RPM. With double carburetors and resonance exhaust system, the whole snowmobile engine has been redesigned and built to aircraft requirements. The Hoffmann two-blade wooden propeller is belt driven giving a 1:2 reduction. When not in use, the power plant is retracted into the fuselage by a manual crank and lever in the cockpit wall. 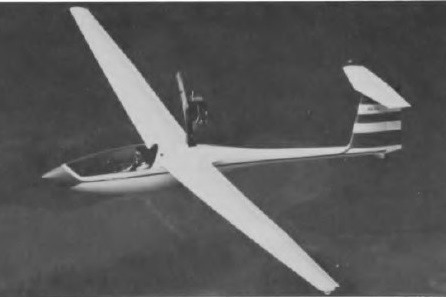 The glider features fiberglass monocoque construction. Half of the fuselage/wing fairing has been taken to the wing so that the main rib and wing spar are 20 nm higher in order to save weight. The wings, flaps, and complete tail are of sandwich construction with fiberglass skin and PVCfoam core. Wing spars are made of carbon fiber. The PIK boasts a maximum L/D ratio of 40 to 1. With power on, takeoff can be accomplished in less than 1,000 feet if a 50' obstacle has to be cleared and rate of climb is 787 fpm. Cruising speed is 84 mph at 75 percent power, burning 4.4 gph from the 8.7-gallon fuel tank. The prototype PIK-20E was powered by a 30hp Kohler 440cc engine and first flew on 2 October 1976, making a four hour flight of which two hours were spent soaring with the engine retracted. 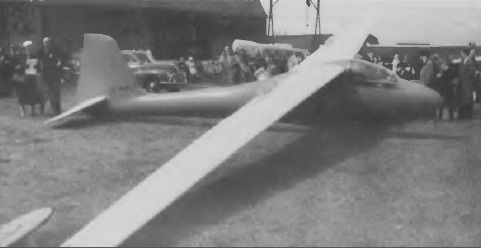 The production prototype made its first (aero-tow) flight on 16 March 1978, and its first powered flight two days later, and series production began shortly after. moved behind the fin spar to the base of the rudder so as to make it steerable; the water ballast capacity (an optional feature) is smaller than the D's. The PIK-20F was available as a 15m Class variant (with 308lb of water ballast) or a Club Class variant, the latter having a fixed monowheel. The PIK-20F has carbon-fibre spars, a modified wing profile, a lower drag fuselage, a forward-opening carbon-reinforced cockpit canopy, a carbon-reinforced cockpit area, and a new wing/fuselage epoxy finish. Production rights for the PIK-20E were sold in 1981 to the French firm Siren SA. Altogether 102 PIK-20Es had been built in Finland when production ceased there in the spring of 1981. By the spring of 1981 a total of 409 PIK-20s of all versions (including the motorised PIK-20E) had been built, of which 85% were for export.